In the Divine Proximity, the Highest Station is the Station of Humility. You can not enter and be present near the King without lowering yourself in utmost humility, the humility that God deserves from us. Indeed He is everything and in comparison to Him, His Glory, we are nothing, and less than that even. And here on earth, the most fitting state to enter into the domain of humility is servitude, to server others, to simply becoming a servant. Servitude flows only when we're prepared to lower our wings of humility. "… and no one will exercise humility for Allah's sake, except that Allah will raise him up". Last Friday (27th April, 2012) me, couple of good friend of ours and my wife, who is a medical doctor, we all joined to serve at a free medical clinic. The non-profit organization which organized this is called: "Development Organization for Disabled". The location of this camp was at the outskirt of our city where mostly low income people live. The living condition was not at all good. In fact because of some repair work for some weeks now the whole sewerage system is non-functional. You can only imagine the foul smell from the human and other wastes floating and mixed due to blockage of the drainage system. The living condition was simply unimaginable, but human beings are the most resilient of creatures, so we noticed people were going about their daily activities despite such incredible situation. You can see some snapshot of the place where people are walking amidst overflowing sewerage water. Those of us who are out of such condition can only be thankful for our comfortable situations.Thankfulness and gratitude is key to happiness and cause of further blessing from the Most Generous. Luckily the free medical camp was setup where it was better accessible and was in relative better Hygienic condition. Those who came to receive treatment were mostly very poor people who can not afford proper medical care. My intention of going was mostly to accompany my wife as well as to observe the life of these people, challenges in their life and to seek opportunity whether Porshee Foundation can do anything for them. With two doctors visiting patients non stop from noon to evening, the camp was a success, May Allah bless them both for their effort. More than one hundred people came, of all age, suffering from various illness and we also managed to give them not only free prescriptions but also free medicine to most of them. The man behind the arrangement is called Hafiz Miah, who himself is blind and someone who understand the suffering and pain of being handicap and challenged in a society where the priority of the less advantages are lost in whirlpool of poverty. You can see Hafiz Miah sitting in the foreground with his shades on. Two doctors in the background are busy seeing patients and giving them treatment. Hafiz Miah's organization for Disabled is very new and he was sharing how difficult it is to motivate others to help him. He said people would readily donate to religious organization, but not them who are trying to do good to others selflessly. People have this mindset to help only the religious organizations, mosques which already receive lots of money. In conversation I came to know that Hafiz Miah want to start training for other handicapped people to help them earn a living and towards that goal he is thinking of training of tailoring and computer eduction. I immediately thought that from Porshee Foundation we can help him buy sewing machine which are quite affordable and that can be used to train tailoring to physically handicapped people (specially those who have difficulty in mobilizing but can work sitting). I am looking forward to hand him over two sewing machine to begin with and would also like to sponsor a survey study of the local community to understand the need and scope of further work. If you would like to join in the cause you are welcome to support our work and donate to Porshee Foundation. We not only fund to our own programs but also support other worthy causes by genuine people who follow the Sunnah of Harisun Alaikum, who are deeply concerned for (the welfare) of others, concerned for the suffering of others. Since it was a Friday, just after noon the call for prayer of the weekly Jumuah prayer was called and I followed one of the person who was going to the mosque for the weekly prayer. Sometime its lovely to pray at local mosque and to enjoy new vibes unique to each mosque. Friday mid-day prayer is also when the weekly sermon is delivered by the Imam of the mosque. The Imam on that day recited the 82nd chapter from the Qur'an and his entire Khutbah or sermon was explanation of its meaning. The 82nd Surah of the Qur'an is titled as Surah al-Infitar. Its a short Surah which was revealed in Mecca. The meaning of the Surah is "The Cleaving Asunder," or "The Splitting." The Surah is a relatively short one with 19 verses and describe the Inevitable Moment of Destruction just prior to Resurrection and Judgment. 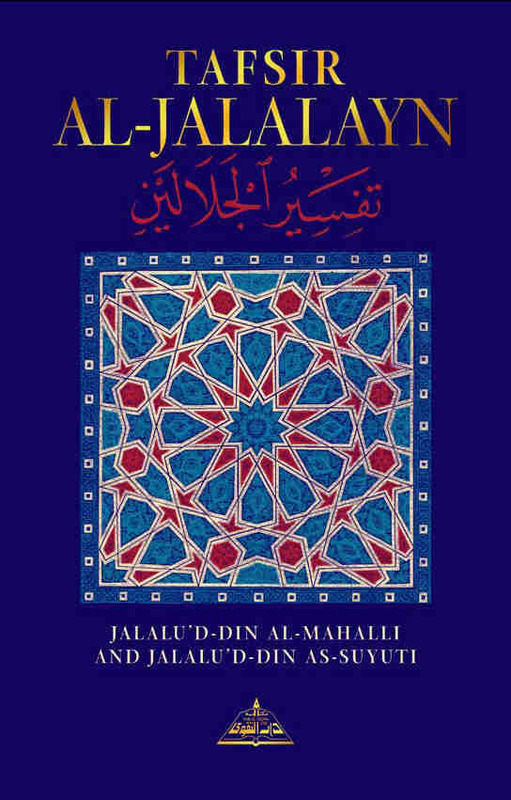 Though the chapter is small, but each of the verses are very powerful and pregnant with meanings. The first four verses calls to that Momentous Moment and give some of the cosmic events that will mark that Tremendous time prior to Resurrection. The approximate rendering in English of the Quranic verses are given below in *bold*. 4. And the graves are overturned. 6. 7. 8 Yaa-ayuhal-insanu ma gharraka bi-Rabbikal karim. allazi khalaqa fa-sawwa ka fa-adalaka fii ayyi suratim ma shaa rakkabak? Oh Man! What has deceived you concerning your Generous Lord Who created you, proportioned you and shaped you harmoniously and in form as He willed, He has assembled you? If you have read it just once, read the above question again and again. Oh Man! What has deceived you concerning your Generous Lord?! This is a question which describe the most common human condition of heedlessness and total abandonment of his purpose, and indicates denial of his, her Creator Who is the Most Generous. Indeed in the womb how every human form is formed, given shape, fashioned in harmonious proportion and then delivered to the world is a perpetual miracle, imbued with deep and generous mercy of the Creator. 9. No! But you deny the Recompense. Most of humanity live in such state as if there will be no Accountability, no Judgment, no responsibility of his, her actions, no one else to give answer to, even though generation after generation of Divine Messengers and Prophet have conveyed the message that the One Who Created us will One Day call us back to Him by Resurrecting us and our state of being, our state of doing and our deeds will be judged by the Real Judge. That will be a tremendously bewildering Day. 14. And indeed, the wicked will be in flames. 16. Nor shall they be absent from it. 17. And what will make you comprehend the Day of Recompense? 18. Really! what can make you comprehend about the (Tremendous) Day of Recompense? 19. A Day on which no soul can help another soul in any way; and [absolute] command, that Day, is [entirely] with the Divine. When the heaven is split open, [when it is] rent asunder, and when the stars are dispersed, [when] they expire and begin to fall, and when the seas are burst forth, released one upon the other, forming one mass of water, so that the sweet [water] mixes with the salty; and when the tombs are overturned, [when] their earth [above them] is dug up and its dead are raised (the response to idhā, ‘when’, and all that is supplemented thereto is [the following]):a soul, every soul, will know, at the time of the [occurrence of the] things mentioned, which is the Day of Resurrection, what it has sent ahead, in the way of deeds, and, what [it has], left behind, of these and did not do. O, disbelieving, man! What has deceived you with regard to your generous Lord?, so that you have disobeyed Him, Who created you, when you were not, then made you upright, in your created form, with sound limbs, then proportioned you (read fa-‘adalak or fa-‘addalak), making you symmetrical in shape, with well-proportioned parts, so that no hand or leg is longer than the other, assembling you in whatever (mā is a relative) form He will? No indeed! - a deterrent against letting oneself be misled by the generosity of God, exalted be He. Rather you, that is, disbelievers of Mecca, deny Judgement, requital for deeds; Yet lo! there are above you watchers, from among the angels, over your deeds, noble, in God’s sight, writers, of these [deeds], who know whatever you do, all of it. Indeed the pious, the believers who are sincere in their faith, shall be amid bliss, [in] Paradise, and indeed the profligates, the disbelievers, shall be in Hell-fire, a scorching fire, entering it, to suffer its heat, on the Day of Judgement, [the Day of] Requital, and they shall not be absent from it, [they shall not] be taken out of it. And what would show you, [what would] inform you, what the Day of Judgement is? Again, what would show you what the Day of Judgement is? — [repeated] to emphasize its enormity. 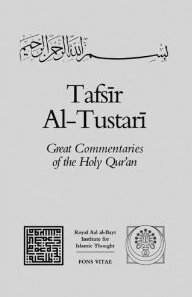 [It is] a day when no soul will be of any avail, any use, to another soul, and the [absolute] command on that day will be God’s: there will be no [power of] command for anyone other than Him thereat, in other words, none has been given the power to mediate thereupon, in contrast to [situations] in this world. On the authority of Ibn 'Abbas that he said regarding the interpretation of Allah's saying (When the heaven is cleft asunder): '(When the heaven is cleft asunder) by the descent of the Lord- a descent without modality- and the angels and whatever He wills of His command. [82:5] [then] a soul will know what it has sent ahead and [what it has] left behind. That is, what it has sent forward, the good or bad, and what it left behind in the form of an evil practice that it initiated (sayyiʾa sannathā) and whatever [part of that practice] was emulated [by others afterwards]. [82:6] O mankind! What has deceived you with regard to your Generous Lord? He was asked, ‘What is it that cuts the servant off [from God]?’ He replied: "The servant belongs to God, and God is there for His servant. There is nothing closer to Him than the heart of the believer, and if anything else comes into his heart, that becomes a veil (hijāb) [for him]. Whoever looks upon (nazara) God with his heart, will become distanced from all besides Him, and whoever seeks the means to [attain] His good pleasure (mardā), will be made satisfied by God through His clemency (hilm). Furthermore, whoever surrenders his heart to God, Exalted is He, [will find that] God takes care of his bodily members so they remain in rectitude (istiqāma). Yet at the same time, their hearts’ witnessing is in proportion to how much they safeguard their bodily members." ʿUmar b. Wasil, a student of Sahl, said, ‘When [Sahl] would recite this verse, he [Sahl] would say: "It is ignorance that has lured me away [from You] O Lord, due to Your withdrawing Your protection from me." [82:13] As for the righteous, they will be in bliss (naʿīm). The bliss of the elect among His servants who are the righteous (abrār) is the encounter (liqāʾ) with Him and the witnessing (mushāhada) of Him, just as their bliss in this world was in the witnessing (mushāhada) of Him and proximity (qurb) with Him. May Allah forgive our short-comings, cover us with His Infinite Mercy and open our heart to true reality. By Allah so be it. Ameen.